Gordon Lett [with walking stick] and some of his partisans of the International Battalion. Monte Picchiara 1944. 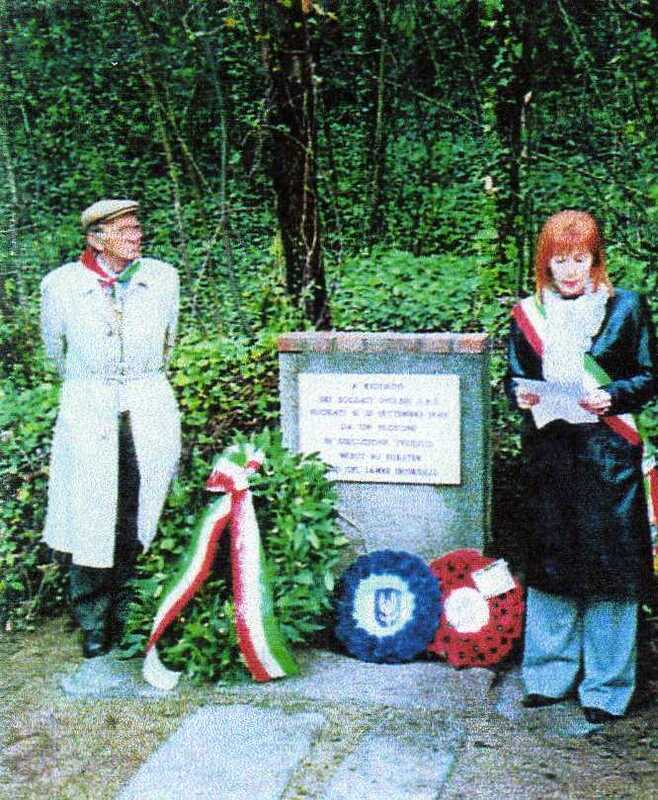 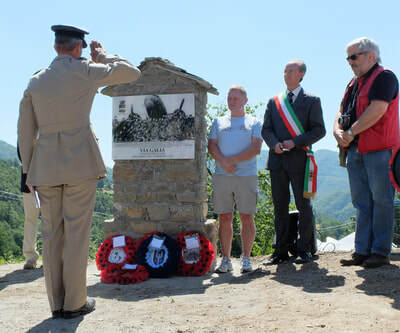 The Gordon Lett Foundation (Fondazione Gordon Lett) is dedicated to the memory of Commendatore Major Gordon Lett DSO, an escaped prisoner of war and partisan leader. 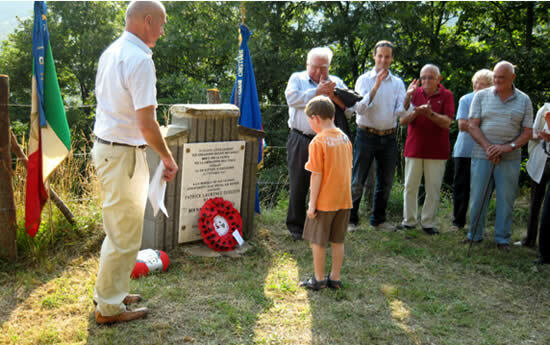 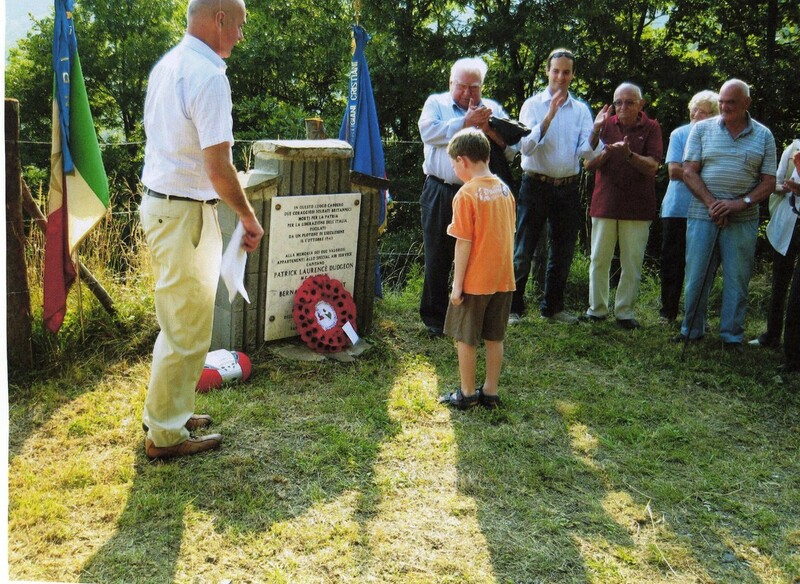 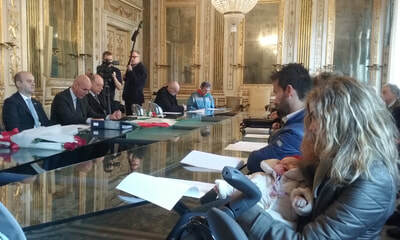 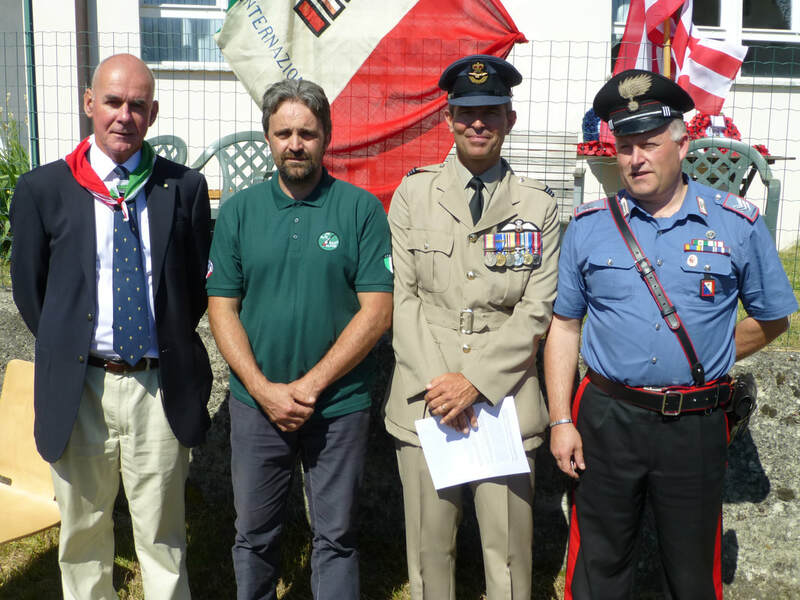 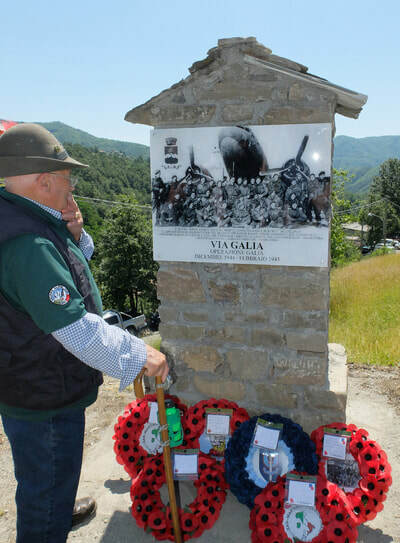 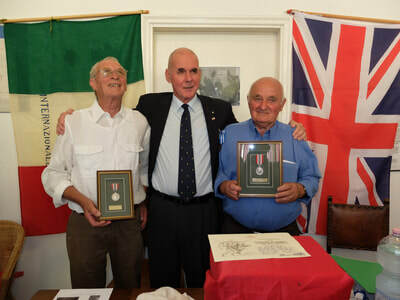 The Foundation is currently working on a project to bring recognition of the courage of Italians who were recommended for British medals at the conclusion of World War Two. 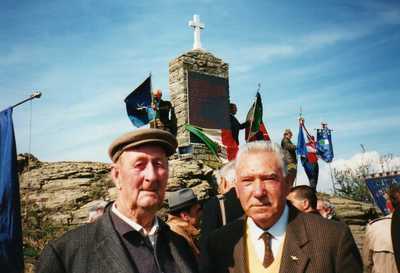 The men of 2SAS Operation Galia before deprarture for Rossano on 27 December 1944. The Foundation discovered in 2014 a register of British medals for courage which should have been awarded to Italians, but never were. Find out about the monuments whose erection was encouraged by the Foundation. 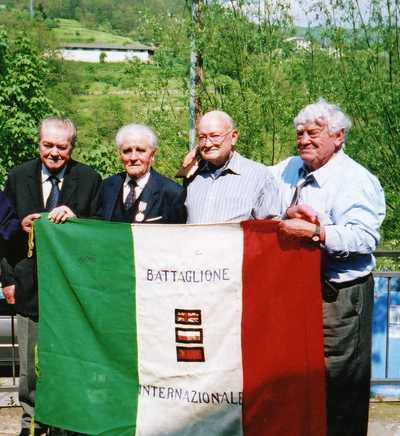 Are you interested in identifying people who may have helped a prisoner of war that you know? Here is our guide on how to do so. 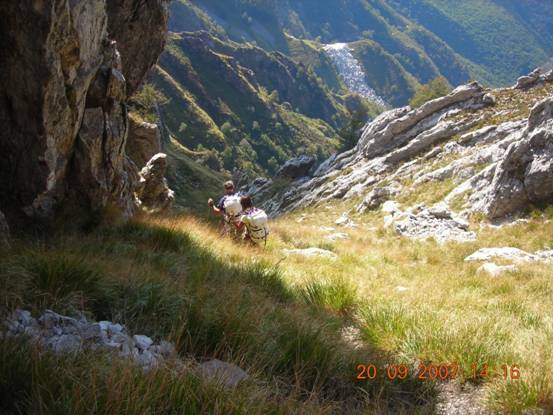 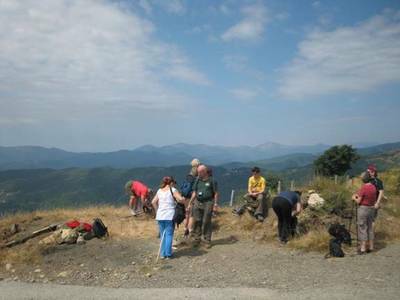 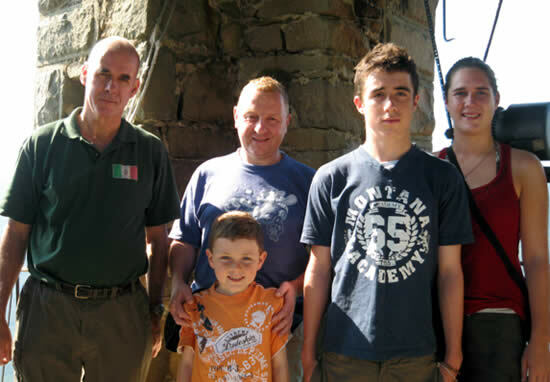 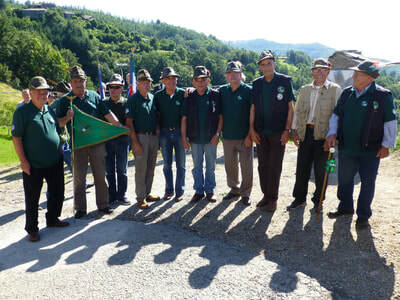 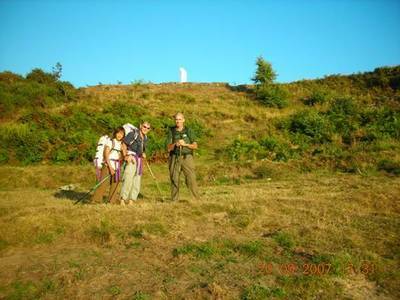 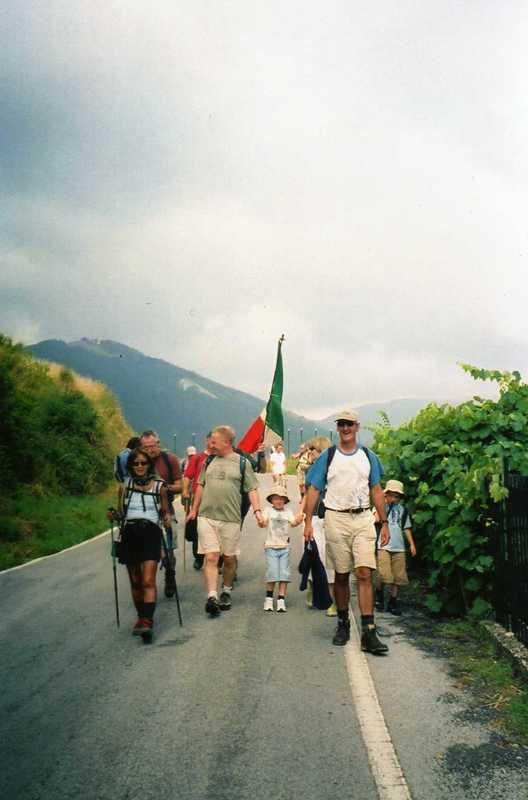 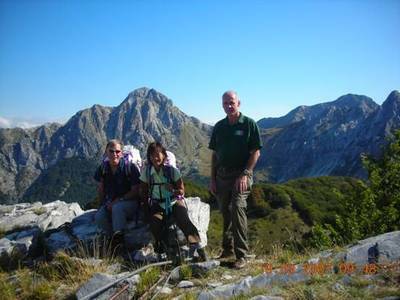 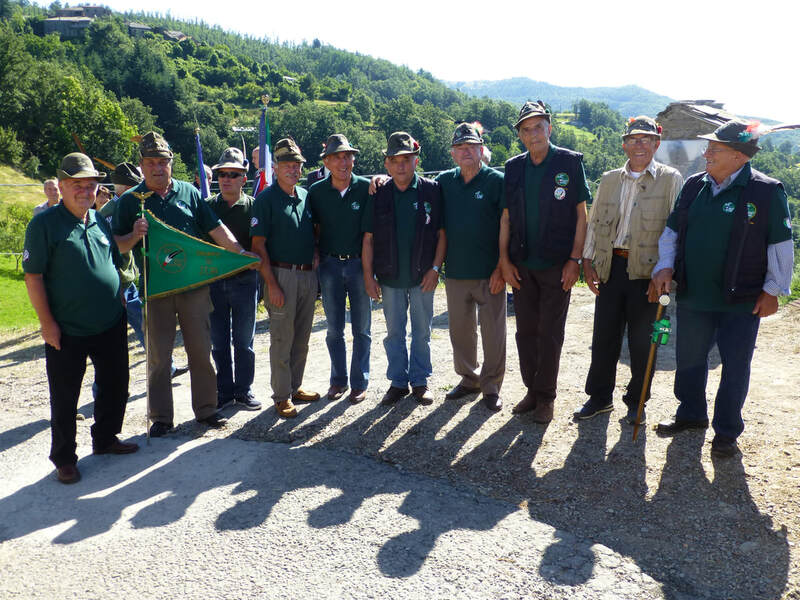 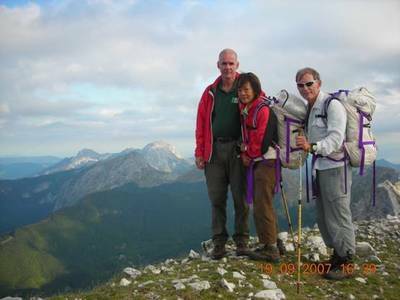 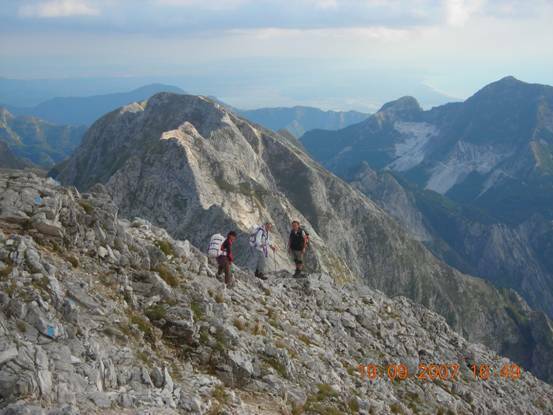 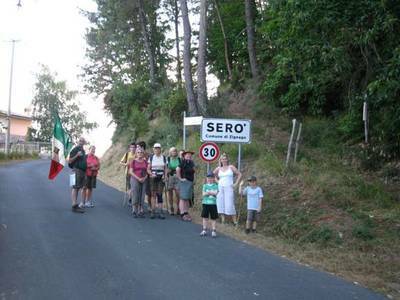 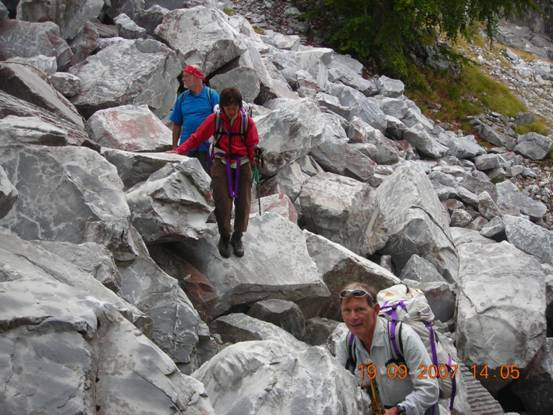 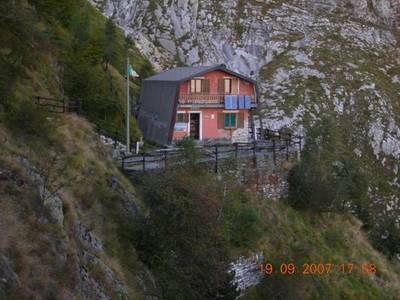 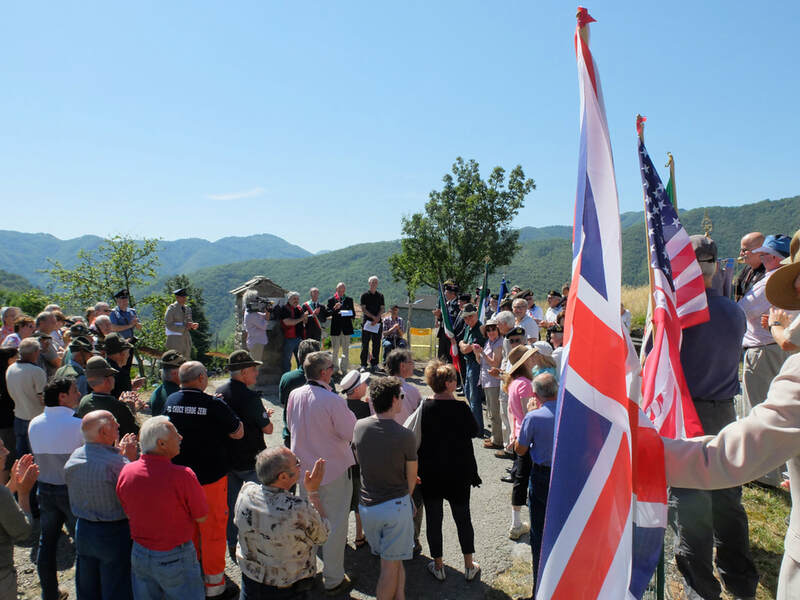 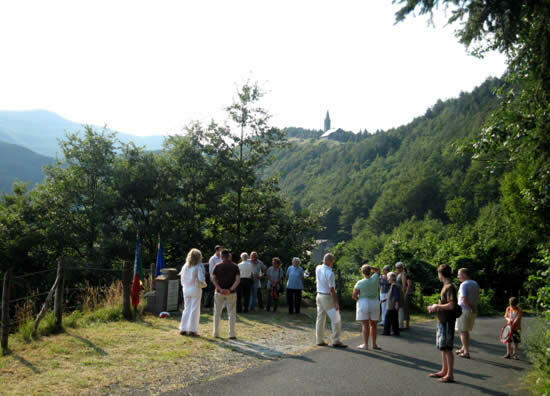 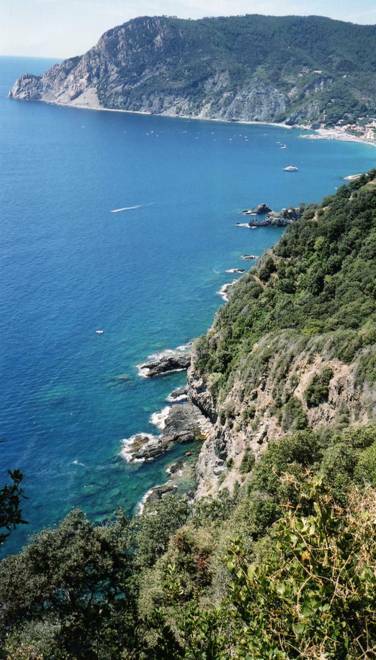 The Gordon Lett Foundation has organised many walks organised many walks for the Monte San Martino Trust following the route of escaped prisoners of war from the Rossano valley across the 'freedom' mountains of Northern Tuscany.